We’re smiling from ear to ear after learning that Ben Crawshaw’s back to sailing and weblogging after a longish period of silence. His latest post brings the delightful news that his little boat has featured in a children’s book illustrated by artist Elena Val. The book Benedict by author Teresa Duran examines the issue of perfection, and is available from Canadian publisher’s Groundwood. 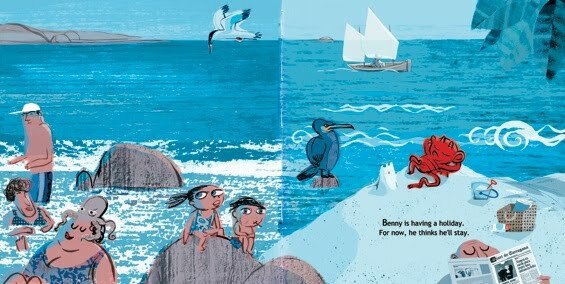 For more about Ben’s adventures and his boat Onawind Blue built to my Light Trow design, click here.